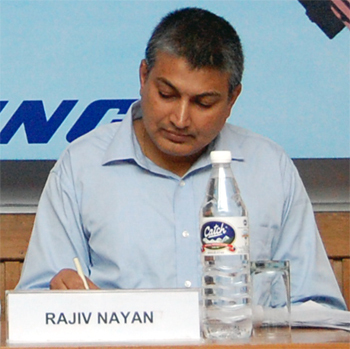 Dr Rajiv Nayan is a Senior Research Associate at the Institute for Defence Studies and Analyses, New Delhi. He has been working with the Institute since 1993, where he specializes in export control, non-proliferation, and arms control. Rajiv was a Visiting Research Fellow at Japan Institute of International Affairs, Tokyo, where he published his monograph- Non-Proliferation Issues in SouthAsia. He was also a Visiting Fulbright Scholar at the Center on International Cooperation, New York University. He holds a Ph.D. and a Master of Philosophy in Disarmament Studies and a Master of Arts in International Relations from Jawaharlal Nehru University, New Delhi. In his doctoral dissertation, he studied implications of the Missile Technology Control Regime for Indian security and economy. He has published his papers in academic journals, and as chapters of books. He has contributed articles to numerous newspapers. He is a member of the Export Controls Experts Group and Multilateral Security Framework in North East Asia of the Council for Security Cooperation in Asia Paciﬁc (CSCAP). He is also on the Executive Council of the Indian Pugwash Society. In recent months, Rajiv has been participating in different Non-Governmental Organisations’ meetings on nuclear security. He is an Indian partner of Fissile Materials Working Group (FMWG) which is a Washington-based group of Non-Governmental Organisations active on nuclear security. He is also a member of international Coalitions of Non-Governmental Organisations on Chemical Weapons Convention and Arms Trade Treaty.